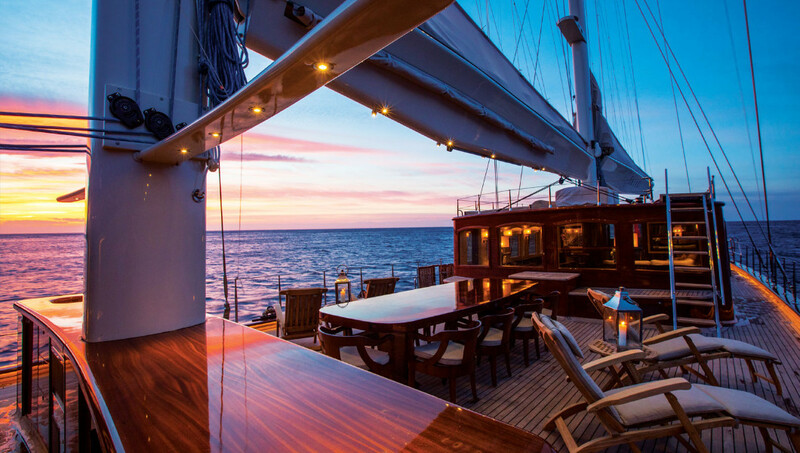 A Zen Buddhist word that means “the state of sudden, indescribable, intuitive enlightenment”, Satori was launched by the team behind the Tuscan estate, and passengers on-board can sail assured of an equal level of service and concierge activities. The hand-built wooden schooner may exude an atmosphere of bygone glamour in its glossy mahogany décor and old-fashioned deck chairs, but the features on-board are comfortably modern, vaunting marble bathrooms, in-room bar fridges, free-standing walnut bathtubs, an open-air cinema, a spa cabin, Wi-Fi, top-range water and land toys, and last but not least – Michelin-quality cuisine and a 200-bottle wine cellar. When calling at some of the Mediterranean’s most sought-after destinations – Greece, Italy, France, to name a few – the concierge can deftly coordinate shopping excursions and gastronomic journeys, privately guided cultural tours, or even swap sea for sky with a helicopter flight. 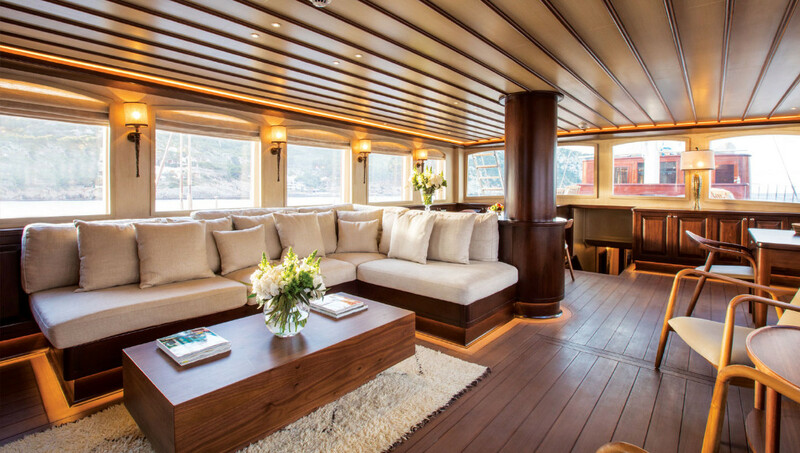 And although the vessel can host up to 10 guests in addition to the crew, sun-lounging privacy can be found on the front deck with a sunbed that’s ample for two and beckons lazy afternoons, while thoughtfully designed spaces throughout separate the crew from guests.